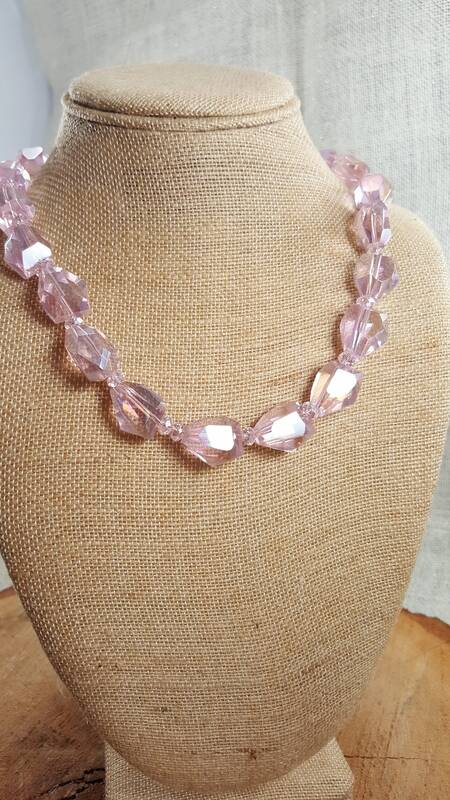 Pink crystal necklace with beautifully shaped pink crystals 17'' in length. 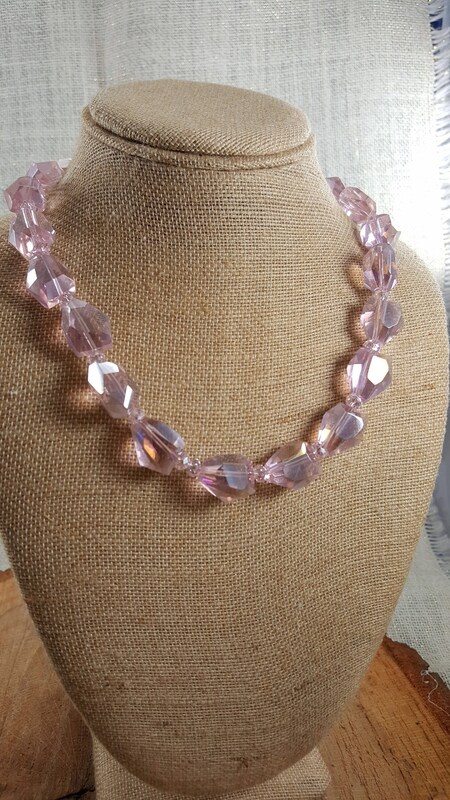 Pink crystals , a beautiful set, elegant. 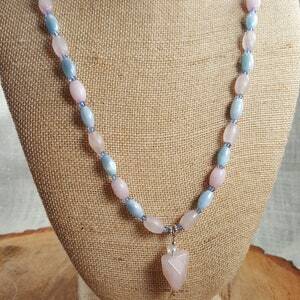 Crystals vibrate on a lower, more gentle frequency, healing properties are slow and steady.they radiate a soft strength to ground the spirit with a sense of stability. 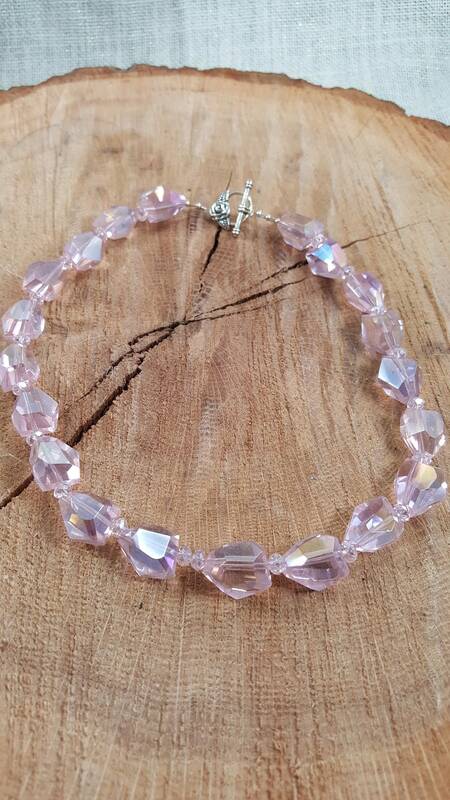 Crystal properties connect with the energy of the Earth. 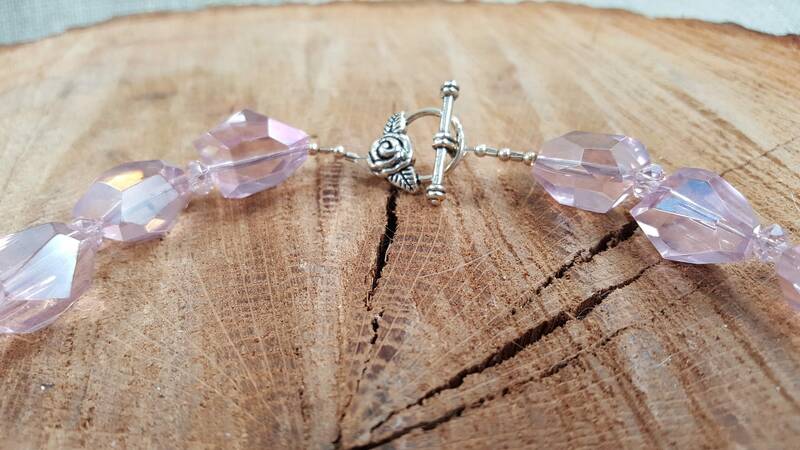 They are thought to bring harmony to all aspects of the being, physical, spiritual and emotional . The heal properties of this variety use the soft vibrations to ease the tension within the throat, and allow fluidity between mind and mouth. It is best for people who are seeking the fortitude for long lasting endurance. 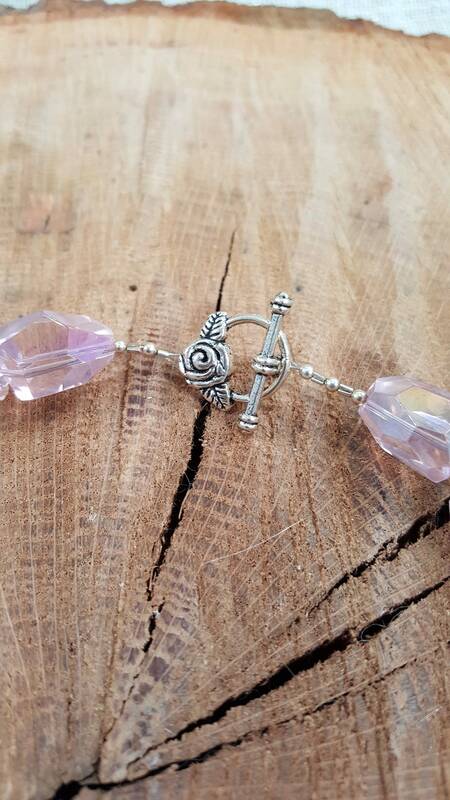 If you are struggling with addiction or to implement healthy habits, healing properties are beneficial for manifesting goals, seeing things through and providing soft and steady support. 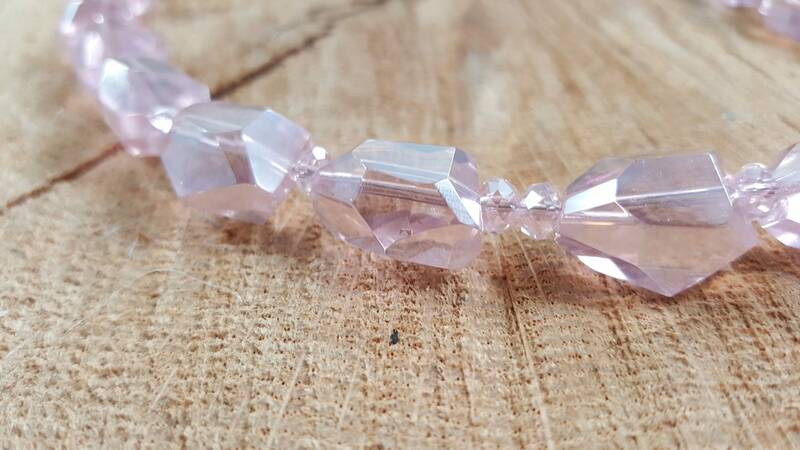 If you are already feeling overwhelmed, another crystal may deliver frequencies that only add to the overactivity of the mind. 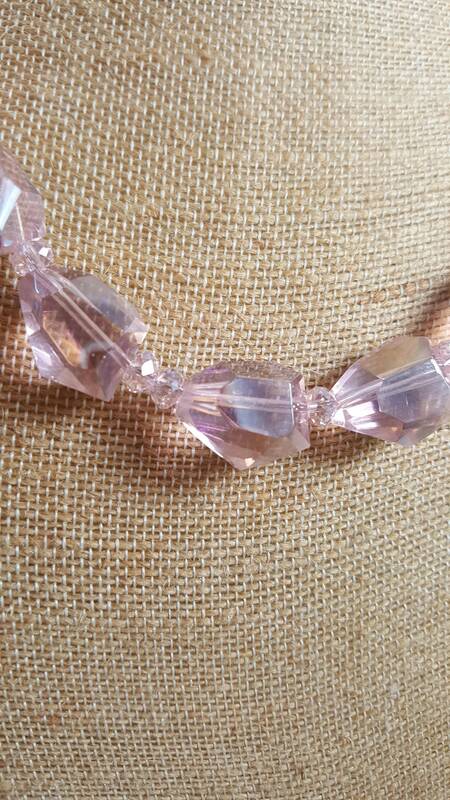 Beautiful Rose quartz pendant on a 18' blue and pink crystal beaded necklace. 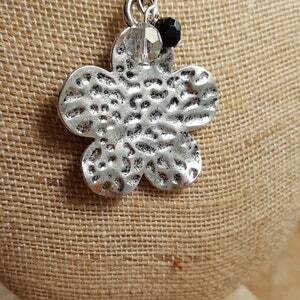 Beautiful black "ivory" and crystal necklace with a whimsical pewter flower pendant. 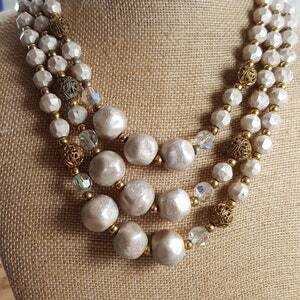 Elegant 3 strand pearl and crystal necklace with gold beads. 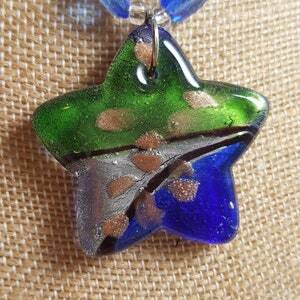 Range in strands 17" to 20"
Whimsical blue and green star pendant on a blue and green crystal 18" necklace.